I love having a stash of baby gifts on hand or some really easy projects that I can make quickly when I have a shower to go to or a new baby is born. 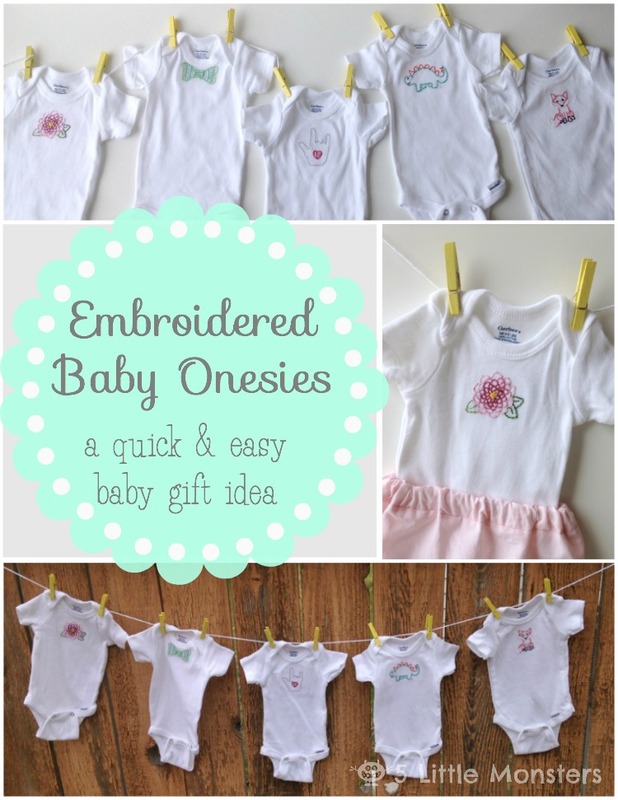 These embroidered onesies are the kind of gift that don't take a lot of time to make if you need one fast or that you can make a bunch of to have on hand when you need them. Yesterday I had the opportunity to be a guest contributor on Oombawka Designs. I shared this colorful blanket pattern. I thought it would be fun to make a bright, colorful baby blanket pattern and after playing around with some different stitches this is what I came up with. I used 6 colors of yarn in addition to the white but you only need a small amount of each color. I had enough left over that I was able to use 4 of the colors plus some leftover white to make the Colorblock Ripple Blanket that I shared in my last post. 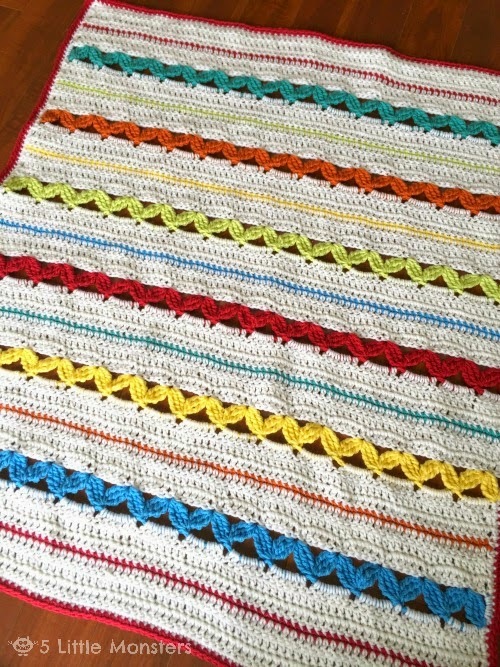 To get this pattern for the Rickrack Stripe Blanket head over to Oombawka Designs. 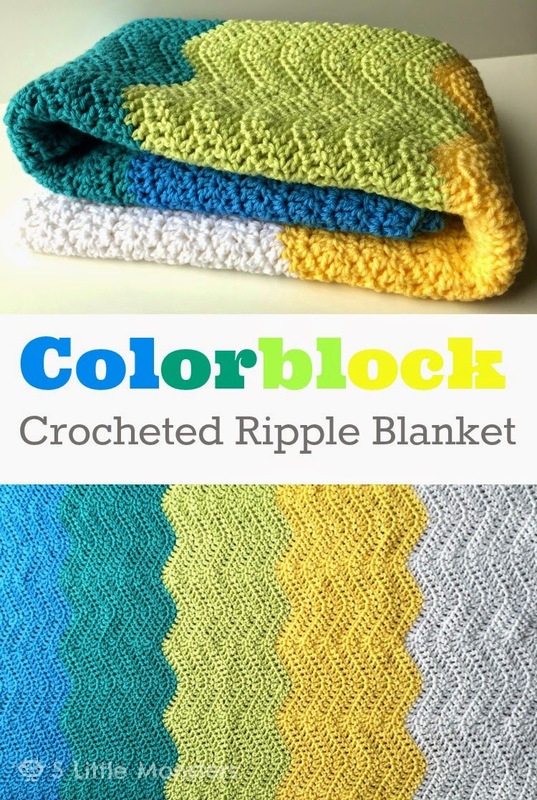 Over the past few years I have seen lots of ripple blankets that are made using big sections of each color rather than skinnier stripes. I have always wanted to try making one but it was just one of those things that I never got around to doing. Recently I worked on a project that used small amounts of several colors so when I finished I had quite a bit of each color left over. I decided this would be a perfect time to try one of these blankets. I made these washcloths a few weeks ago as a Mother's Day gift. 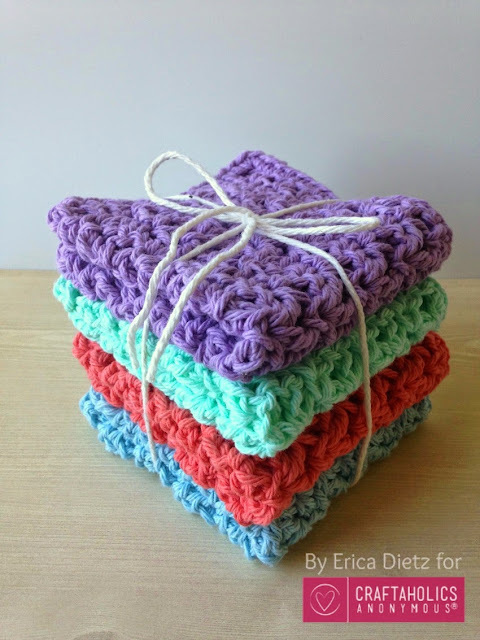 They are a little bit lacier and more open than I normally use for dishcloths or washcloths but it is solid enough to still work well and I wanted to use a pretty feminine stitch. The stitch I used is called the blossom stitch and it is made using a combination of single crochet, double crochet, and chain stitches. 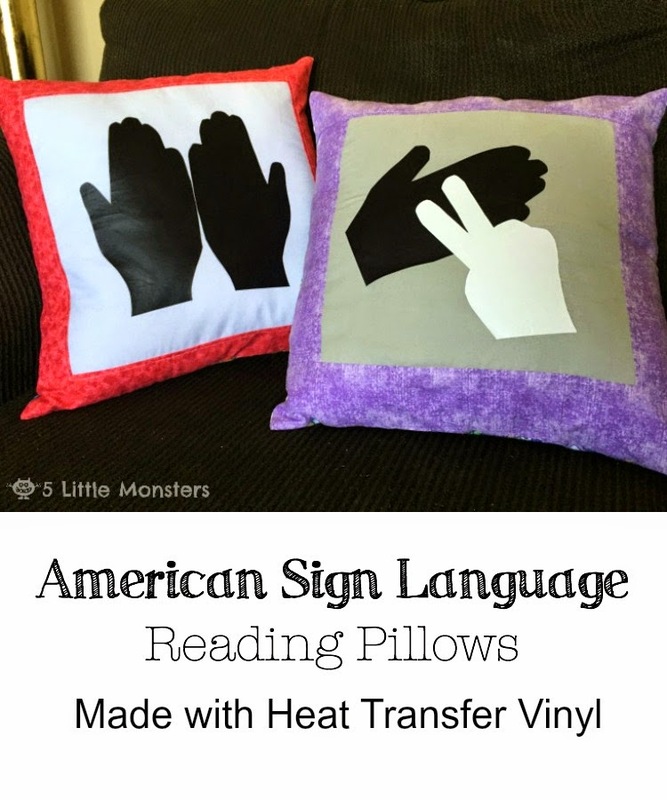 I made these pillows as a gift for my son's teacher for Teacher Appreciation Week last week. I hadn't really planned to blog about them so I don't have a lot of pictures. Last year I made gifts for the teachers of both of my kids who were in school. This year I have three kids in school and I really couldn't think of any great ideas of something to make. A couple of weeks ago the PTA sent home a paper asking the kids to do certain things each day and it also included a wishlist for each of the teachers. I decided that rather than getting things they didn't really want or need I would just pick something off of each of their lists. My youngest daughter's preschool teacher got the super exciting gift of a bunch of Clorox wipes. My first grader brought a bag full of little cheap toys to her teacher to put in their class store. When I looked at the list for my second grader I saw that his teacher wanted some pillows for their reading corner. I decided that I wanted to try to make something and pillows were something I knew I could do pretty easily. A couple of times every year Sew Mama Sew hosts a big giveaway day and this year I have decided to participate. If you are visiting from there for the first time, welcome. If you didn't come from there than you should go check it out. There are tons of giveaways in two different categories, supplies and handmade items. 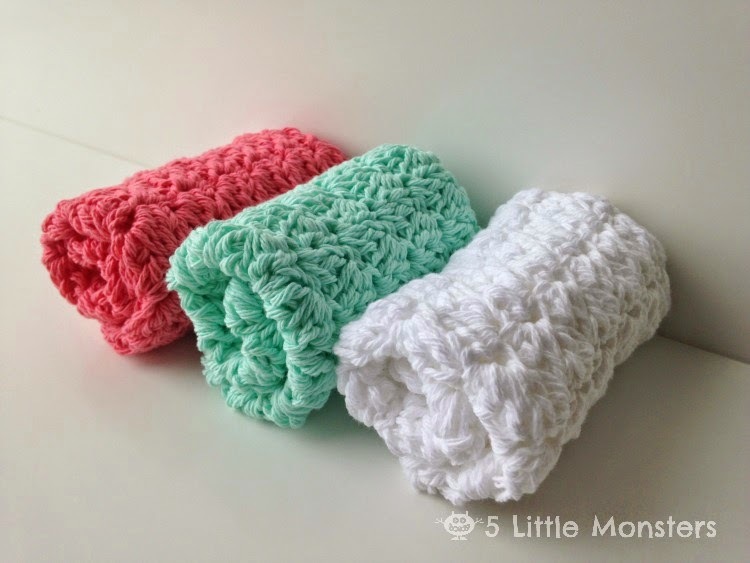 On Craftaholics Anonymous today I am sharing a crochet washcloth pattern. 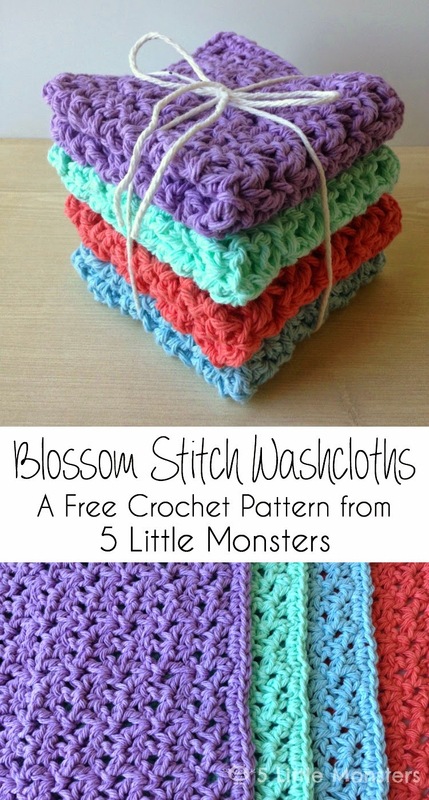 They are made using the blossom stitch, a crochet stitch that uses a combination of single crochet, double crochet, and chain stitches to make a slightly lacy, textured stitch. 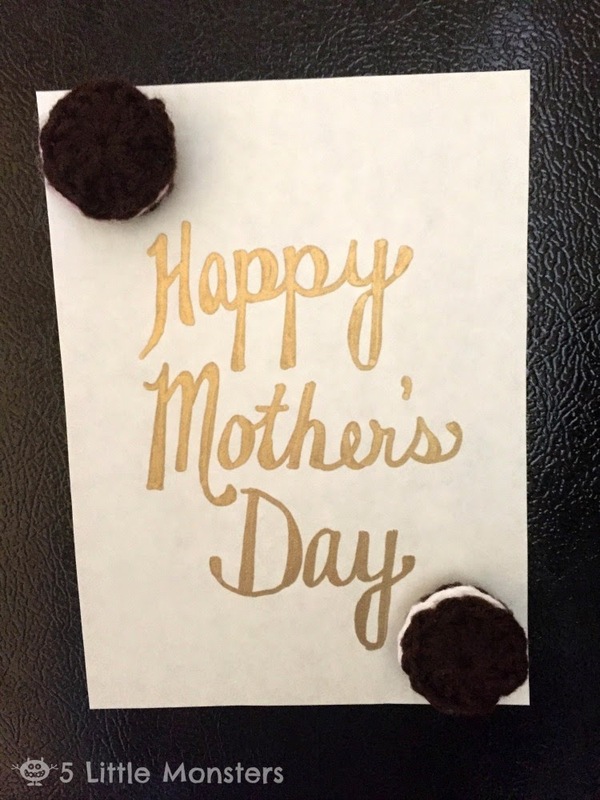 With Mother's Day less than a week away these would be a nice and easy addition to a Mother's Day gift with some pretty lotion or soap. It has been awhile since I have done a Friday Freebies Roundup. I thought since the new Avengers Movie comes out today it would be fun to find some Avengers and Superhero themed projects to share. I have a husband and a couple of little boys who are pretty obsessed with superheroes and my girls like them quite a bit too so I could see my family having fun with all of these things. 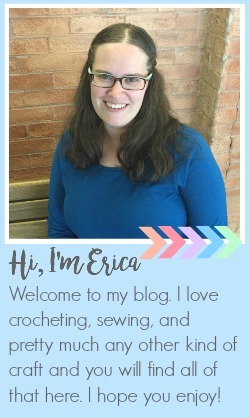 I am going to share 9 different things that I found online, some crochet, some sewing, some painting and even a free printable game. There are a lot more ideas out there, these are just some that I thought looked fun and I tried to stick with projects that had the Avengers not just any superheroes. Some of them include other superheroes in addition to the Avengers but they at least have some of the Avengers. 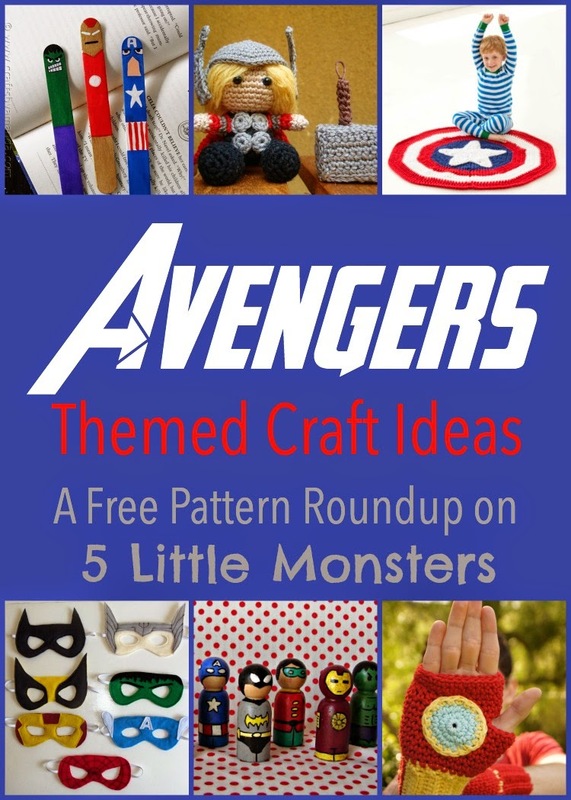 Click on the pictures or titles to get to the pattern or tutorial.